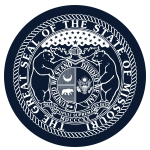 Mission: The mission of the Missouri Board of Occupational Therapy is to protect the citizens of the state through the licensing of occupational therapists and assistants, assessing their competence to practice. It is also the Boards duty to investigate all complaints against its licensees in a fair and equitable manner. Function: The division, in collaboration with the board, will regulate the practice of occupational therapy concerning the health, safety and welfare of the inhabitants of this state; protect the inhabitants of this state from harm through dangerous, dishonest, incompetent, or the unlawful practice of occupational therapy; and implement and sustain a system for the regulation of occupational therapists, occupational therapy assistants and limited permit holders. Compensation: Yes. Fifty dollars per day for each day devoted to the affairs of the board and may be reimbursed for actual and necessary expenses incurred in the performance of the member's official duties. Member Requirements: Three members shall be occupational therapists. One member shall be an occupational therapy assistant. Such member shall at all times be holders of licenses for the practice of occupational therapy in this state; except for the member of the first board who shall be registered pursuant to section 334.838 RSMo, on August 28, 1997, and shall meet the requirements for licensure pursuant to sections 324.050 to 324.089. The remaining two shall be members of the public.